GM plans to introduce the new generation Chevrolet Colorado and GMC Canyon in early 2022. However, the small trucks won’t stay the same until then. 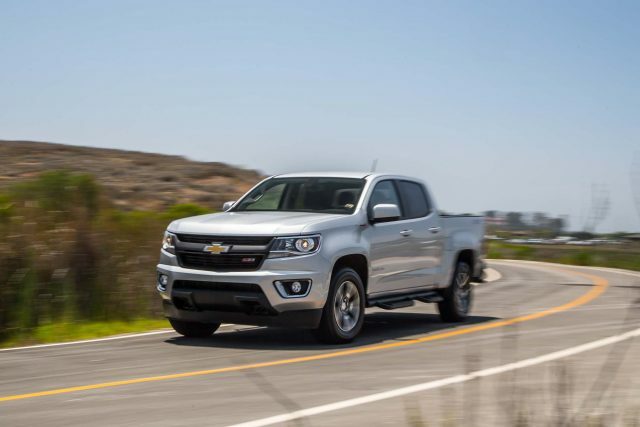 No, they will receive a mid-cycle update next year, and our insider revealed us a plan for the 2019 Chevrolet Colorado update. According to information we have, the refreshed second-generation pickup truck will host several styling changes and certain performance improvements. The facelifted truck will feature minor exterior changes. The car manufacturer will likely use the new generation Silverado 1500 as a basis for the 2019 Chevrolet Colorado. The smaller pickup will sport the same grill and headlights treatment in the front and a pair of new taillights in the rear. They might play with tailgate and bumper as well, yet the changes should be really minor. Actually, the biggest news will be a potential addition of a sunroof and a new high-end model. Yes, Chevrolet is reconsidering to add a new trim level which will be named either Premier or High Country. If that actually happens, the new topper will probably host its own styling cues, which would include a special grille treatment, a bit bigger wheels, and unique color treatment. The refreshed 2019 Colorado will receive a few changes inside as well. The cab should get at least two new color combinations and technology update. 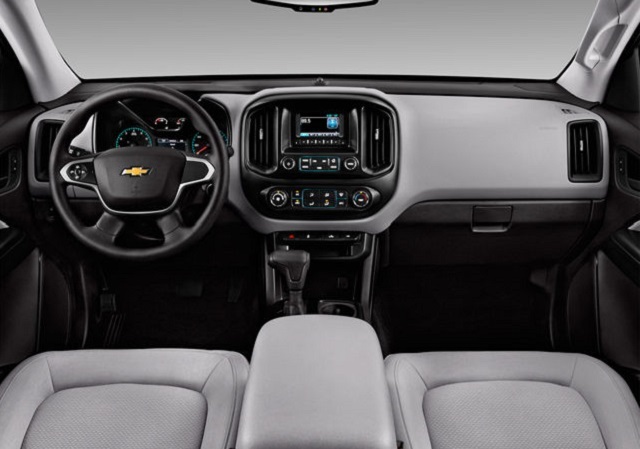 The base model should feature more standard equipment, while the dashboard might host better-quality materials. The mid-size pickup truck won’t get any platform changes, so you can expect pretty much the same cab and bed configuration: Extended Cab-Long Box, Crew Cab-Short Box, and Crew Cab-Long Box. Engine wise, the 2019 Chevy Colorado will probably rely on the existing options. Though, some rumors indicate the arrival of an all-new turbo four gasoline mill. The unit will reportedly produce 272 hp and 295 pound-feet of torque, which is more than enough for this kind of truck. In addition, the midsize vehicle will likely keep its existing trio unchanged. The base Colorado will use a 2.5L I-4 LCV with 200 horsepower, while the more potent gasoline model uses a 308 hp 3.6L V-6 LGZ. The 2.8-liter turbo-diesel inline-four might feature an update on the other hand. The oil-burner will allegedly deliver more power and torque, and better fuel economy due to new turbocharger and injectors. GM might add a new transmission as well. The refreshed truck will still use an eight-speed transmission as standard, but there should be a new 10-speed auto gearbox as an option. The mid-cycle update of the pickup truck will cause a “mid-cycle update” of price as well. The refreshed 2019 Chevrolet Colorado should cost around $22,000. GM needs to include a power sliding rear window.The manual rear window is way too inconvenient..